I made up the whole Danny DeVito tweeting about his foot thing. 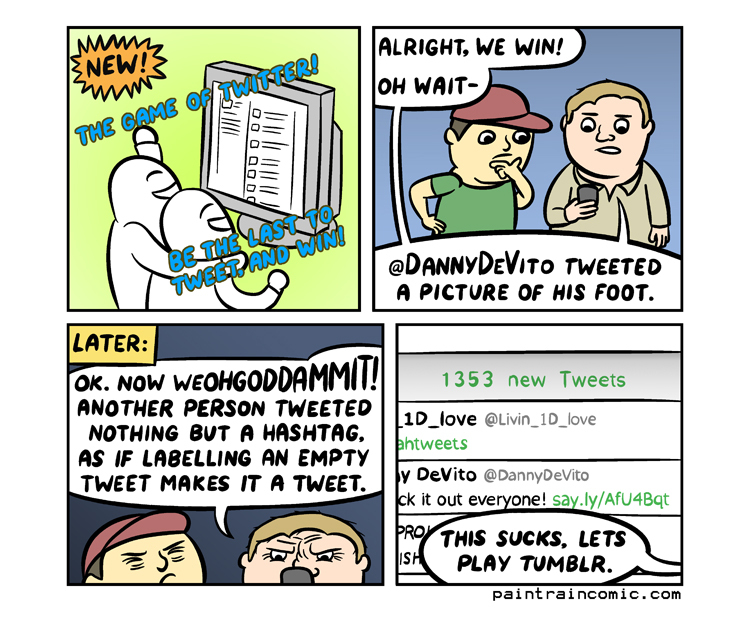 I don’t even follow him on twitter but after writing this strip, I thought I’d go see what he actually tweets about and IT WAS HIS FEET. Foot pics as far as the page can scroll!